(Women’s Feature Service) - Growing up impoverished in Costa Rica without even a roof over her head, few could have predicted the career and life Sandra Cauffman has today. She is the Deputy Project Manager on the Mars Atmosphere and Volatile EvolutioN (MAVEN) mission at the National Aeronautics and Space Administration (NASA), Goddard Space Flight Center, in the United States, devoted to understanding Mars’ upper atmosphere. Daughter of a domestic violence survivor, who escaped her abuser and had to take three jobs to support her children, Cauffman’s go-to mantra are her mother’s words: “not to repeat the same story”. 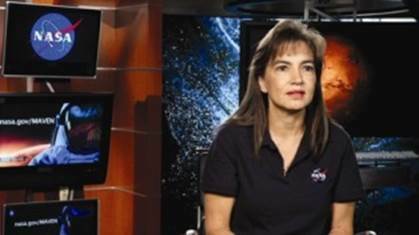 Today, she is a role model, a mother and a NASA employee, who is supporting NASA’s quest to explore the red planet. In this one-on-one Cauffman talks about her life in Costa Rica, her struggles with learning English in college in the US and her NASA dream. Q: Over the years, what were some of the toughest challenges you have had to face? A: There were so many obstacles that I don’t know where to begin. Firstly, I was born in Costa Rica, a small country in Central America. Since I was little, I remember I wanted to work in something related to space. That time I didn’t know about NASA. When I was seven I got to see the spectacle of the first man landing on moon and I told my mom: ‘I want to do that someday’. My mom could’ve said that it was impossible, but instead she was very encouraging. She told me: ‘You never know; the world goes round and round and if you work and study hard, you never know where opportunities are going to come from’. My mom lost everything. We lost our house and ended up living in an office, but even with all the struggles that we had, she kept encouraging me to study, to get good grades and to continue to work hard. Even though she worked three jobs to support us, and I had to start working young, she always told me that I all I needed to succeed was the strength to push myself through everything. When I graduated from high school, I wanted to study electrical engineering at the Universidad de Costa Rica, and the counselor told me that I couldn’t do that because there were no women in the electrical engineering programme. This was a big barrier. They told me that I should study industrial engineering, so that was what I did. At the time, I was 17 and I thought that as long as I was an engineer it would be fine. Three-and-a-half years into the programme, I found out that I didn’t really want to be an industrial engineer. I still wanted to be an electrical engineer. It was then that my mom met my dad. He is the man that I call father because he married my mom and adopted us legally. Things started looking up for us since then and we all moved to the United States. I left everything in Costa Rica, even my incomplete industrial engineering degree. I didn’t speak English and I had to figure out how to get back into college again. I took the Test of English as a Second Language (TOEFL). Even with the little English that I had learnt in high school, I scored 601 and I needed 600 points to be able to start college. The first couple of semesters were very hard because the teachers spoke so fast that I was totally lost. I had to go back home to slowly review and study everything. I finally graduated from George Mason University with two bachelor’s degrees: in electrical engineering and physics. Once I started working, at NASA’s Goddard Space Flight Center, I was one out of a handful of women on the project. I have been very blessed that all the people I have worked with have embraced diversity. There have been a couple of moments when someone had thought that I was the secretary or commented that I should be at home and not working in engineering but those situations were the exception and not the rule. A: The most important factor has been putting the effort that is required to succeed. I know sometimes opportunities don’t present themselves, but you have to be ready all the time for those opportunities if they do present themselves. The biggest influence in my life has been my mother, and all her effort and the encouragement that I always received from her. She was a single parent and always held her head high. No matter how bad things were, she always saw the positive side of things. She told me not to let the negative comments affect me. Her motto was: ‘always move forward…keep on marching forward, and work hard to get what you want’. She empowered me to be what I wanted to be. My mother is my heroine. She was the youngest of 12 and she grew up an orphan because the older siblings didn’t want or could not take care of the little ones. She had so much strength and she transferred that strength to all of us. She is a survivor. Q: Has being a woman affected your life and work choices? A: It is hard for a woman to work in a predominately male environment, and we [women] have to try a little bit harder, but things are evolving. I think that we need more women in high-level positions, but compared to 20 or 30 years ago, it is improving. We [women] bring a different point of view, a different way to look at problems. Diversity is always good in every sense, not just gender, but colour and religion. Diversity brings a different point of view and the sum of one plus one is not two; it’s always more. Q: How do you cope with your predominantly male work environment? A: Working for NASA has been an incredible experience and I have worked hard to be where I am. I do admit that I had to work harder because I’m a woman, but I’m here and I’m happy for what I’ve accomplished and where I am in my career. MAVEN has been one of the projects with more women engineers. I’m very pleased to say that the project pays attention to diversity. Q: What, according to you, is your greatest contribution to society? A: Everything comes back to the people that you work with and the relationships that you create throughout your life in your career. I hope my greatest contribution is being able to pass on a little bit of encouragement and motivation to the new generation. I go to schools all the time and I talk to the kids and try to motivate them. One of the things that I always tell them is to be grateful for what you have; be grateful to your teachers; be grateful to your mothers, to everybody, and try to have a good working relationship with people. That’s what is going to carry you through life. Q: What message do you have for young girls today? A: Do not be persuaded by negativism because negativism is ignorance. Saying that you cannot do something is negativism. It might be difficult but it’s never impossible if you work hard. Poverty is not an excuse because there are a lot of organisations, scholarships, and help for people that really want to go the extra mile. If you really want to do what it takes to achieve your dreams, a lot of help will come your way. You just need to be ready for the opportunities that will come along. You can dream. Go for your dreams! Could someone help us to keep this blog? We are concerned with equality .We are working to ensure that human rights of women become a reality. On November 4, 2015 ,Gender/Post-Conflict Specialist Lesley Abdela spoke at an International Forum at the University of Macedonia in Thessaloniki, Greece. Her presentation was titled 'UNSCR 1325: Progress and Shortcomings after 15 years of Implementation by Organizations and Governments'. The reason persuasion and advocacy has failed is simple: 1325 contains no carrots and no sticks – no incentives, no penalties, no sanctions and no time-frames. These are the weaknesses built into 1325 which need to be addressed - urgently. Remedies: the UN and its Member States should only provide resources and funding to peace talks where at least 40% women (and 40% men) are participants at all levels of negotiation including the top table. The failings of UNSCR1325 and the continued exclusion of women’s voices from top-level Peace negotiations. Some 50% of conflicts break out all over again within 10 years. The saying ‘All conflicts contain the seeds of future conflict’ should be rewritten as ‘All Peace agreements contain the seeds of future conflict’. Peacemaking and peace-building ought not to be left so overwhelmingly to men, for one practical reason: evidence shows that men on their own are not very good at it! The current practice is that if you are a man responsible for blowing up people, maiming, murdering, bullying, intimidating and grabbing power, money and assets (viz the Sudans, Afghanistan etc) you will be included at the peace-tables deciding on the future of your community. In addition to a few decent honourable men, Warlords, business mafia, extremist religious leaders are invited in. Women civil society leaders and peace-campaigners are shut out. Ceasefires and demobilization were the main focus of peace processes. However, today it is recognised that peace is something far more than the ‘absence of violence’. Conflict prevention and resolution, as practiced today, continues to focus on neutralizing potential spoilers and perpetrators of violence, rather than investing in resources for peace. One of the lessons I have learned is that quick-fix stabilisation using current paradigms for peace may bring temporary absence of fighting but not long term-peace and prosperity. The current reality is that even in cases when women are included they are elbowed out from being the key decision-makers - in 15 of the 16 national dialogues examined for the recent UN study it was found that decision-making was left to a small group of male leaders. Despite UNSCR1325 and hundreds of conferences, speeches and declarations, significant barriers remain to the full integration of a Gender perspective in conflict prevention and peacebuilding processes. In 2012, a study by UN Women showed that out of a representative sample of 31 major peace processes between 1992 and 2011, only 2% cent of chief mediators, 4 % of witnesses and signatories, and nine per cent of negotiators were women. Women have always participated in peace negotiations and peacebuilding but always at the informal level and rarely visible to the formal peacemakers and keepers. My Bosnia and Kosovo experiences and a stint in Sierra Leone a few weeks after the rebels were driven from the capital Freetown, and my time in Afghanistan and Iraq has led me to the existence of a phenomenon I call the ‘Parallel Universes’. 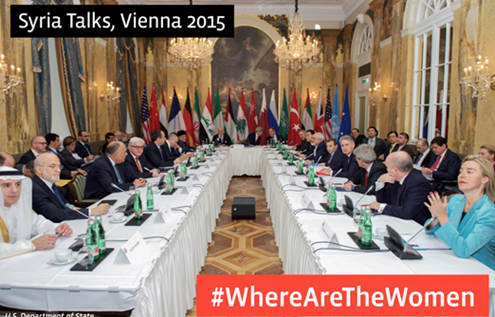 Senior diplomats, Political Party leaders, high-ranking Military officers, Warlords, Government Ministers. These are mostly men who maintain the majority of their contact with counterparts of the same rank. The peace processes from the start are top-down, leaving almost no space for women’s voices to be heard. 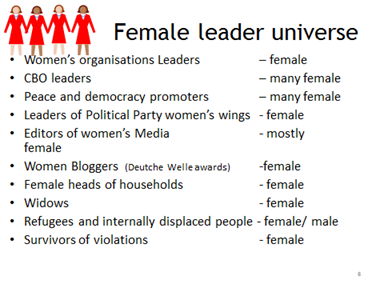 No-one in this universe seems to hear even, let alone listen to, inhabitants of another, parallel universe, mainly women leaders in Civil Society, community-based organisations, NGOs, advocacy groups and women’s wings of political Parties despite their heavy involvement in informal peace initiatives. A major challenge for 1325 is how to bridge the parallel universes? In country after country, from Sri Lanka to Sierra Leone and Kosova to Nepal persuasion and national/international advocacy on 1325 has been ineffective for bringing women into top level peace-talks. Unless we make a big noise Syria will be yet another example of this pattern in which women are excluded from being equal partners in a meaningful way in the formal talks on the future of their country. In the 15 years since 1325 was passed, the Security Council has since adopted a series of additional ‘daughter’ resolutions on women, peace, and security. The latest daughter resolution of UNSCR 1325 is resolution 2122 (2013) in which the Council reiterated its intention to convene a High-level Review to assess progress at the global, regional and national levels in implementing resolution 1325 (2000). The overall participation of women in peace processes is inching upwards in parts, albeit at far too slow a rate. In 2014, women in senior positions were found in 75% of peace processes led or co-led by the UN, compared with only 36% in 2011. There has been a rise in the number of references to women in the text of peace agreements. 50 % of peace agreements signed in 2014 included references relevant to women, peace and security (up from 22% in 2010). Conclusions: The reason persuasion and advocacy has failed is simple: 1325 contains no carrots and no sticks – no incentives, no penalties, no sanctions and no time-frames. These are the weaknesses built into 1325 which need to be addressed - urgently. The UN and its Member States should only provide resources and funding to peace talks where at least 40% women (and 40% men) are participants at all levels of negotiation including the top table. Lesley Abdela, MBE is a British expert on women's rights and representation. She has worked as an adviser in 40 different countries to governments and IGOs (United Nations, CoE, IOM, OSCE), NGOs and the European Commission. She is also a Journalist, broadcaster, public speaker and women's rights campaigner. In Pakistani, patriarchal Muslim society, women are vulnerable to different types of violence; however there is a strong class component. Research findings exposed the relationship between patriarchy, poverty and gender violence. Poverty appears to be the direct cause of gender violence as it creates a stressful cycle. Women from low income families were economically dependent, having less access to educational facilities and suffered from poverty as well as violence. They were victims of violence but some of them ironically accepted that their disobedience although from their personal point of view was legitimate has become a cause to be at the receiving end of both verbal abuse and physical violence. Poor women used different strategies to cope with their poverty and patriarchal structure utilized violence against women as a most powerful tool to control women’s sexuality. Women were prone to face physical, psychological and social violence against them. To eradicate poverty and control violence, it is important to understand it’s psychological, social and gender aspects. It is also important to educate and empower women to promote economic, social and gender equalities as well as to improve the social structure. Social Work as enabling/ empowering profession can be used to solve the problems and restore the abilities by providing correctional and intervention services for those women who by sheer force of circumstances fall into the hands of anti-social elements and later on disowned by their family. Social work practitioners are needed to consider the dynamics of victimization and powerlessness in gender relations because empowerment oriented social work practice can focus on victim’s strengths, adaptive skills and competencies to resolve their problems related to poverty as well as violence. "...for her lifelong work to protect the Inuit of the Arctic and defend their right to maintain their livelihoods and culture, which are acutely threatened by climate change." 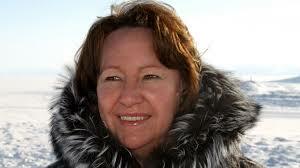 Sheila Watt-Cloutier was born in 1953 in Nunavik, Northern Quebec, Canada. For the first ten years of her life, Watt-Cloutier was raised traditionally, traveling on land only by dog-sled before she was sent away to a family in Nova Scotia and to a residential setting in Manitoba. As an educational administrator working for the Kativik School Board, she undertook several initiatives to improve educational standards of Inuit students, as well as addressing the problem of alcohol and drug addiction afflicting the Inuit student population. Subsequently, as one of the main contributors to the landmark 1992 Nunavik Educational Task Force Report, Watt-Cloutier and the team of Inuit leaders from Nunavik provided 101 recommendations to completely reform the system, arguing that any effective education system must consider community needs, including self-government, cultural preservation, and the development of community and regional infrastructure. Watt-Cloutier spent several years working to implement the recommendations of the report, which remains an important reference point today. In 2002, Watt-Cloutier was elected International Chair of ICC, a position she held until 2006. In this position, she presented the Arctic Climate Impact Assessment (ACIA) before US Senator John McCain's Senate Committee on Science, Transport and Communications, stymying the attempt by the George W Bush administration to prevent Arctic states from adopting policy recommendations to reduce emissions of greenhouse gases. Among the key findings of the ACIA was that Arctic temperature was rising at double the rate of the rest of the planet. The report also provided evidence of rising sea levels and acceleration of global temperature increases due to the loss of the reflective ice and snow in the Arctic. In December 2005, based on the ACIA findings which projected that Inuit hunting culture may not survive the loss of sea ice and other changes projected over the coming decades, Watt-Cloutier and 62 Inuit hunters and elders from communities across Canada and Alaska filed a petition to the Inter-American Commission on Human Rights (IACHR), arguing that unchecked emissions of greenhouse gases from the United States have violated Inuit cultural and human rights as guaranteed by the 1948 American Declaration on the Rights and Duties of Man. Although the IACHR decided against hearing her petition, the Commission invited Watt-Cloutier to testify with her international legal team at their first ever hearing on climate change and human rights on March 1, 2007. The petition, which is the first international legal action on climate change, opened the door to the recognition of collective rights for indigenous peoples and firmly established the link between climate change and human rights within the mainstream global discourse. 101. Many factors of widely varying impact and far from easy to understand exert a negative influence, as we have seen, on education in relation to racial discrimination and religious intolerance. These factors include historical circumstances, the social and economic conditions of groups and minorities, their demographic distribution in the territory, their cultural impoverishment, the prejudices of dominant groups, the status of the majority and minority languages, the political will of the Government and of the groups themselves, the shortage of resources and the lack of intercultural dialogue. It would certainly not be realistic to expect that taking action on these factors could achieve the desired results immediately: some of them are not, in fact, specific to education and would require major efforts by the State and the international community, as well as considerable resources, which would not necessarily be forthcoming at short notice; other factors might not require substantial resources but would need a long-term commitment as they involve issues that, by definition, evolve slowly and not always straightforwardly. We shall distinguish here between domestic and international measures. State’s omission or failure to take action (sect. B). minority groups. As we have noted, the teacher’s role and “tact” are crucial in this regard. (children of the majority) and those dominated (children from minority groups). discriminatory attitudes being reproduced by successive generations. negative representation of aliens and discrimination. including for the benefit of the groups of pupils in question. truth or the norm, particularly in view of the eminently pedagogical value of the medium used. society where they live, for social cohesion and, ultimately for the very unity of the State. frequent causes of discrimination (see chapter III below). diversity in school curricula or teacher training. not to fragment the educational system or, indeed, to impair national unity. 77. The content of education as it relates to racial discrimination and religious intolerance falls within the purview of several bodies involved in the monitoring of international human rights treaties whose objects include education, either fully or in part. As we have seen, this is due to the crosscutting nature of the right to education and to the variety of fields in which it is implemented and of its beneficiaries. 78. In accordance with their mandates, the various committees set up by the relevant international conventions take the content of education into account in a wide variety of ways. Paradoxically, it is not the committees with the most direct competence that have had the most satisfying results. According to one study, only the Committee on the Elimination of Racial Discrimination and the Committee on the Rights of the Child take the content of education into account in their guidelines for periodic reporting by States.82 Even so, these guidelines merely recall the general principles set out in the two Conventions and recommend that States should indicate in their reports what steps have been taken to ensure that the aims of education are consistent with the relevant provisions (articles 7 and 29, respectively).83 On the other hand, the guidelines of the Committee on Economic, Social and Cultural Rights make no reference whatsoever to the obligations of States regarding the content of education. This absence is all the more regrettable in that the Committee is the obvious body for the formulation of recommendations in this area: matters relating to education, and in particular, to its aims as set out in article 13, paragraph 1, of the Covenant, fall directly within the full competence of this Committee, and as such, its guidelines as well as the interpretations it has given would be extremely useful. 79. Finally, the International Covenant on Economic, Social and Cultural Rights envisages no procedure like that established under article 41 of the International Covenant on Civil and Political Rights. This is indeed regrettable and does nothing to enhance the protection of the right to receive education in conformity with the objectives of non-discrimination and tolerance set out in article 13, paragraph 1.86 It must be recognized, however, that the Human Rights Committee does not hesitate to monitor, through individual complaints, pursuant to article 26 of the International Covenant on Civil and Political Rights, compliance by States parties with their commitments under the International Covenant on Economic, Social and Cultural Rights - in other words, under an instrument which does not fall self-evidently within its purview and which has its own monitoring body. In reality, the Human Rights Committee monitors, not the content of the right to be protected but rather, in an audacious manner, the right not to be subjected to discrimination in conformity with article 26 of the International Covenant on Civil and Political Rights, even though the right in question is not covered in that instrument. Strategies and action implemented at the community level to address intimate partner violence are critical to reducing young women’s and adolescent girls’ vulnerability to HIV. Two randomized controlled trials have shown positive outcomes. The Raising Voices SASA!3 kit was designed to inspire, enable and structure effective community mobilization to prevent violence against women and HIV Community activists spearheaded a wide range of activities in their own neighbourhoods designed to decrease the social acceptability of violence by influencing knowledge, attitudes, skills and behaviours on gender, power and violence. When implemented in four communities in Kampala, Uganda, the SASA! kit was associated with significantly lower social acceptance of intimate partner violence among both men and women. It was also associated with lower incidence of intimate partner violence and more supportive community responses to women who experienced such violence . SASA! has been implemented by over 25 organizations in sub-Saharan Africa in diverse settings such as religious, rural, refugee, urban and pastoralist communities. The Safe Homes and Respect for Everyone (SHARE) project in Rakai, Uganda aimed to reduce physical and sexual intimate partner violence and HIV incidence using two main approaches: community-based mobilization to change attitudes and social norms that contribute to intimate partner violence and HIV risk, and a screening and brief intervention to reduce HIV disclosure-related violence and sexual risk in women seeking HIV counselling and testing. Evaluation of the project showed significant decreases in both intimate partner violence and HIV incidence. The SHARE model could inform other HIV programmes’ efforts to address intimate partner violence and HIV and could be adopted, at least partly, as a standard of care for other HIV programmes in Africa . In both approaches outlined above, engaging men and boys has been essential to tackle harmful masculinities and redress power imbalances in the private and public spheres. Every hour, around 34 young African women are newly infected with HIV. The reasons for relatively high rates of infection and low scale-up ofservices for young women in Africa are complex and interwoven. Violence in conflict and post-conflict settings. Individually or in combination, these factors severely inhibit the ability of young women and adolescent girls to protect themselves from HIV, violence and unintended or unwanted pregnancy. Gender inequality and lack of women’s empowerment or agency are key themes that cut across these drivers. Women’s agency or empowerment is the ability to make choices and to transform them into desired actions and outcomes. Across all countries and cultures there are differences between men’s and women’s ability to make these choices. Women’s empowerment influences their ability to build their human capital. Greater control over household resources by women leads to more investment in children’s human capital, shaping the opportunities for the next generation . In sub-Saharan African countries, more than half of married adolescent girls and young women do not have the final say regarding their own health care and play a low decision-making role in the household . Poverty is another overarching factor. Poverty can push girls into age-disparate relationships, a driver of HIV risk for young women and adolescent girls. For example, in South Africa, 34% of sexually active adolescent girls report being in a relationship with a man at least five years their senior. Such relationships expose young woman and girls to unsafe sexual behaviours, low condom use and increased risk of sexually transmitted infections . The risk of trafficking and sexual exploitation is also higher for young women and adolescent girls living in poverty . Poverty also increases the risk of child marriage, and girls in the poorest economic quintile are 2.5 times more likely to be married as children compared with girls in the richest quintile . In 2010, 67 million women aged 20–24 years had been married as girls, of which one-fifth were in Africa . In May 2014, after numerous national and regional commitments to address child marriage (including the 2005 Maputo Protocol, Article 6c), the African Union Commission initiated a 2-year campaign, starting in 10 African countries , to accelerate the end of child marriage on the continent by increasing awareness, influencing policy, advocating for the implementation of laws and ensuring accountability. Eliminating child marriage will decrease African girls’ greater risk of experiencing domestic violence, premature pregnancies and related complications, and sexually transmitted diseases, including HIV. There are promising solutions, but the solutions today are not the solutions of yesterday. Fast-tracking the response is about being flexible and taking account of the rapid transition taking place in Africa today, looking at the new risks but also at the new opportunities. Women’s collective agency is transformative for society. It shapes the institutions, markets and norms of a society. Empowering women as political and social actors can change policy choices and make institutions more representative of a range of voices . There has been progress in political participation. In Rwanda women make up 63% of all members of parliament, and in 11 other countries in the region women make up over 30% of lower house members . The meaningful engagement and leadership of women living with and affected by HIV, in the HIV response, are critical elements to ensuring a response, which is effective and sustainable. Young women living with and affected by HIV must be involved and represented at all levels of policy and decision-making, including as members of parliament, as representatives in advisory groups for policy development, and in the implementation, monitoring and evaluation of HIV policies. Young women should be recognized and included as decision-makers and not considered only as victims or recipients of assistance. It is only through significant improvements in the representation and meaningful participation of young women in these processes that HIV policies and programmes will be truly human rights-based. All over the continent, women’s groups have mobilized in the AIDS response. In the Middle East and North Africa, MENA-Rosa, launched in 2010, is the first regional group dedicated to women living with HIV. Members of MENA-Rosa were among the first women living with HIV in the region to speak out openly about their lived experiences. The organization provides women living with HIV with the opportunity and platform to mobilize and advocate around key issues related to sexual and reproductive health and rights, HIV and empowerment. In 2011, MENA-Rosa solicited the views of 200 women living with HIV in 10 countries across the Middle East and North Africa, with their stories and voices being narrated in the UNAIDS report, Standing up, speaking out: women and HIV in the Middle East and North Africa. Women’s participation in humanitarian situations is also important and feasible. Even though women are critical to reconciliation and reconstruction efforts, they have been underrepresented in peace processes and poorly involved in the establishment of post-conflict frameworks. Yet when women have been included in peace-building, such as in Sudan and Burundi, the specific needs and rights of women, including support for victims of sexual violence, services for widows, and education and health, were reflected in frameworks . On December 17, 1999, the United Nations General Assembly designated November 25 (the anniversary of the day of the murder of the Mirabal sisters) as the annual date for the International Day for the Elimination of Violence Against Women in commemoration of the sisters. This day also marks the beginning of the 16 days of Activism against Gender Violence. The end of the 16 Days is December 10, International Human Rights Day. Patria Mercedes Mirabal (February 27, 1924 – November 25, 1960), Maria Argentina Minerva Mirabal (March 12, 1926 – November 25, 1960) and Antonia María Teresa Mirabal (October 15, 1935 – November 25, 1960) — were natives of the Dominican Republic who fervently opposed the dictatorship of Rafael Leónidas Trujillo. A fourth sister, Bélgica Adela "Dedé" Mirabal-Reyes  was not assassinated the day her sisters were. As of 2007, she currently lives in Salcedo, Dominican Republic. She precedes in the sisters'natal house and works to preserve her sisters'memory through the "Museo Hermanas Mirabal" which is also located in Salcedos de Macoris and was home to the girls for the final ten months of their lives). The Mirabal sisters grew up in an upper class, well-cultured environment. All became married, family women. The father of the Mirabal sisters was a successful businessman. When Trujillo came to power, their family lost almost all of their fortune. They believed that Trujillo would send their country into economic chaos. Minerva became particularly passionate about ending the dictatorship of Trujillo after talking extensively with an uncle of hers. Influenced by her uncle, Minerva became more involved in the anti-Trujillo movement. Minerva studied law and became a lawyer, but because she did not allow Trujillo romantic advancements he ordered that she was not to receive her title. Her sisters followed suit, and they eventually formed a group of opponents to the Trujillo regime, known as the Movement of the Fourteenth of June. Inside that group, they were known as "The Butterflies" (Las Mariposas in Spanish). They are known as Las Mariposas because that was the underground name that Minerva was recognized as in the political dealings. Two of the sisters were incarcerated and tortured on several occasions. Three of the sisters' husbands were incarcerated at La Victoria Penitentiary in Santo Domingo. Despite these setbacks, they persisted fighting to try to end Trujillo's dictatorship. After the sisters' numerous imprisonments, Trujillo decided to get rid of the sisters. On November 25, 1960, he sent men to intercept the three women after the women visited their husbands in prison. The unarmed sisters were led into a sugarcane field, then beaten and strangled to death. Their car was later thrown off of a mountain known as La Cumbre, between the cities of Santiago and Puerto Plata. Trujillo believed at the time that he had removed a significant problem. Having the three sisters killed backfired, however: the deaths of the Mirabal sisters caused a general public outrage in their native country. 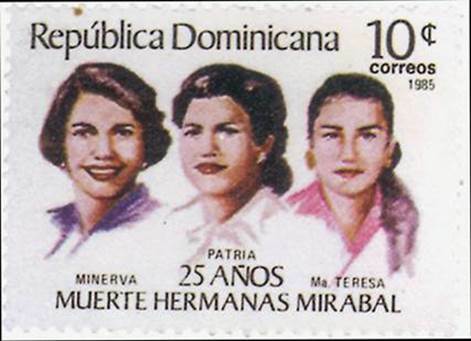 The resultant publicity of the deaths caused the Dominican public to become more interested in the Mirabal sisters and their cause. This public support and awareness contributed to Trujillo's assassination six months later in 1961. The Mirabal sisters are buried in Ojo de Agua, an area outside the city of Salcedo in Salcedo Province. They are buried on the property of their second home, where they lived the last ten months of their lives. This home has also been turned into a museum in their honor and is open to the public. There is also a library, bookstore, and souvenir shop located on the property. The three sisters are buried together, and Manolo, Minerva's husband, is also buried with them. The surviving sister, Dedé, lives near the museum. One of her sons, Jaime David Fernandez Mirabal, served as the vice-president during Leonel Fernández's first term as president of the republic between the years of 1996 and 2000. Minou Tavarez Mirabal, the eldest daughter of Minerva Mirabal has served as a Congresswoman since 1998 until 2006, and has recently been reelected for four additional years (until 2010). Maternal mortality is unacceptably high. About 800 women die from pregnancy- or childbirth-related complications around the world every day. In 2013, 289 000 women died during and following pregnancy and childbirth. Almost all of these deaths occurred in low-resource settings, and most could have been prevented. Improving maternal health is 1 of the 8 Millennium Development Goals (MDGs) adopted by the international community in 2000. Under MDG5, countries committed to reducing maternal mortality by three quarters between 1990 and 2015. Since 1990, maternal deaths worldwide have dropped by 45%. In sub-Saharan Africa, a number of countries have halved their levels of maternal mortality since 1990. In other regions, including Asia and North Africa, even greater headway has been made. However, between 1990 and 2013, the global maternal mortality ratio (i.e. the number of maternal deaths per 100 000 live births) declined by only 2.6% per year. This is far from the annual decline of 5.5% required to achieve MDG5. The maternal mortality ratio in developing countries in 2013 is 230 per 100 000 live births versus 16 per 100 000 live births in developed countries. There are large disparities between countries, with few countries having extremely high maternal mortality ratios around 1000 per 100 000 live births. There are also large disparities within countries, between women with high and low income and between women living in rural and urban areas. Women in developing countries have on average many more pregnancies than women in developed countries, and their lifetime risk of death due to pregnancy is higher. A woman’s lifetime risk of maternal death – the probability that a 15 year old woman will eventually die from a maternal cause – is 1 in 3700 in developed countries, versus 1 in 160 in developing countries. Most maternal deaths are preventable, as the health-care solutions to prevent or manage complications are well known. All women need access to antenatal care in pregnancy, skilled care during childbirth, and care and support in the weeks after childbirth. It is particularly important that all births are attended by skilled health professionals, as timely management and treatment can make the difference between life and death. Poor women in remote areas are the least likely to receive adequate health care. This is especially true for regions with low numbers of skilled health workers, such as sub-Saharan Africa and South Asia. 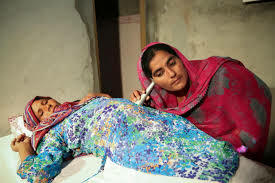 While levels of antenatal care have increased in many parts of the world during the past decade, only 46% of women in low-income countries benefit from skilled care during childbirth6. This means that millions of births are not assisted by a midwife, a doctor or a trained nurse. In high-income countries, virtually all women have at least 4 antenatal care visits, are attended by a skilled health worker during childbirth and receive postpartum care. In low-income countries, just over a third of all pregnant women have the recommended 4 antenatal care visits. Improving maternal health is one of WHO’s key priorities. WHO is working to reduce maternal mortality by providing evidence-based clinical and programmatic guidance, setting global standards, and providing technical support to Member States. During the United Nations MDG summit in September 2010, UN Secretary-General Ban Ki-moon launched a Global strategy for women's and children's health, aimed at saving the lives of more than 16 million women and children over the next 4 years. WHO is working with partners towards this goal7. 1Conde-Agudelo A, Belizan JM, Lammers C. Maternal-perinatal morbidity and mortality associated with adolescent pregnancy in Latin America: Cross-sectional study. American Journal of Obstetrics and Gynecology, 2004, 192:342–349. 2 Patton GC, Coffey C, Sawyer SM, Viner RM, Haller DM, Bose K, Vos T, Ferguson J, Mathers CD. Global patterns of mortality in young people: a systematic analysis of population health data. Lancet, 2009, 374:881–892. 3 Say L et al. Global Causes of Maternal Death: A WHO Systematic Analysis. Lancet. 2014. 4 UNICEF, WHO, The World Bank, United Nations Population Division. The Inter-agency Group for Child Mortality Estimation (UN IGME). Levels and Trends in Child Mortality. Report 2013. New York, USA, UNICEF, 2013. 6 WHO. World Health Statistics 2014. Geneva, World Health Organization; 2014. 7 Ban K. The Global Strategy for Women’s and Children’s Health. New York, NY, USA, United Nations, 2010.